Steve Smith has been a staple in the Carolina Panthers organization and the Charlotte community for years. So much that he has starred in commercials for the Charlotte, North Carolina based fast food chain Bojangles on Several occasions like in the commercial above this paragraph. You may ask why is this relevant? Well I'll tell you exactly why 5 words that came out of the Panthers all-time leader in receiving yards has inspired campaigns and t-shirts. The 5 words I am speaking about come from the now infamous quote “Ice up son, Ice up” following Carolina's huge 24-20 victory over the New England Patriots on Monday Night Football. These comments were triggered by what transpired in the 1st quarter between Smith and Aqib Talib. Smith had 4 receptions and 62 yards on Talib but it was an altercation after the whistle coupled with Talib not finishing the game due to a hip injury that inspired these jabs from #89. These 2 guys have history dating back to Talib's days with the with NFC South division rival Tampa Bay Buccaneers. After a reporter asked what happened between the 2 rivals he said “I don't know, you go ask him cause he didn’t finish the game, Ice up son, ice Up”. Now usually it would end there score the victory for Steve Smith but the reality is that Smith beats Talib and gets more notoriety at Talib's expense. Now back to Bojangles, not to long after the great 1-liner by Smith Bojangles honored Smith by posting this picture and tweet in honor of him. Check it out above the paragraph. Pretty cool if you ask me and a nice gesture by Bojangles. 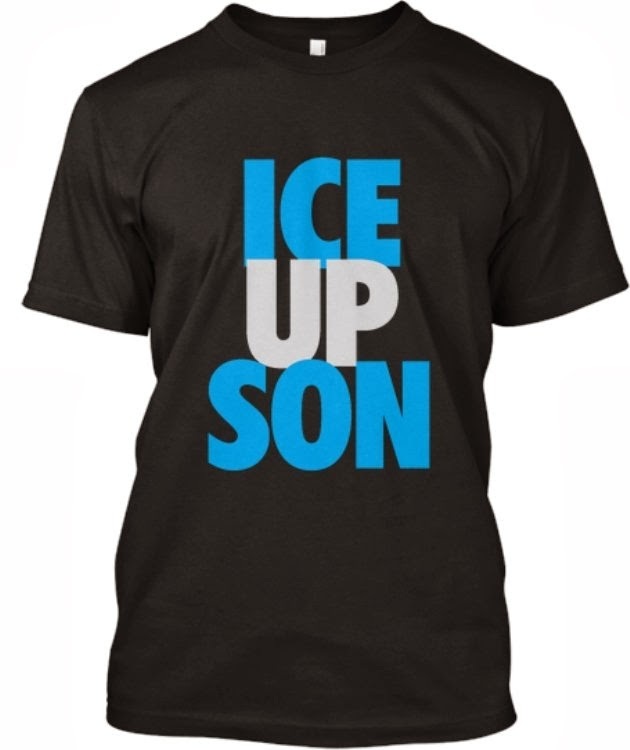 After that comes one of the best Christmas gifts you could ever give any serious Carolina Panthers fan and that's a black t-shirt that reads “Ice Up Son” in the teams colors. Talk about an amazing shirt I want one myself. The shirt is now available at http://teespring.com/ and has already sold 1,000+ shirts according to Yahoo.com. growing and pretty cool stuff happening just off of 3-5 words. I so want to get this shirt! Steve Smith is a boss.